IQS Directory provides a comprehensive list of screen cloth manufacturers and suppliers. Use our website to review and source top screen cloth manufacturers with roll over ads and detailed product descriptions. Find screen cloth companies that can design, engineer, and manufacture screen cloth to your companies specifications. Then contact the screen cloth companies through our quick and easy request for quote form. Website links, company profile, locations, phone, product videos and product information is provided for each company. Access customer reviews and keep up to date with product news articles. Whether you are looking for manufacturers of wire cloth screens, wire cloth mining screens, industrial screen cloth steel, or customized screen cloth of every type, this is the resource for you. We are driven to bringing you only the most exceptional customer service that will make you want to tell all of your friends. It is our aim to turn first time shoppers into life-long friendships. We are driven to providing you the best in screen cloth products. If you bring us a mere sketch of what you are dreaming up, we will be able to work with you to make those dreams a reality. We have made ourselves the experts so that you don’t have to be. Call our customer service representatives today! Universal Wire Cloth Company is a leader in the wire cloth industry, with over 30 years of experience you can count on us to provide you with top of the line screen cloth and other wire mesh products. We offer a number of extensive fabrication capabilities such as shearing, welding, bending, forming, and many others. Contact us today or visit our website to see all our products and services. Screen cloth is just one of the many products we offer to make shopping with us not only a convenience but an excellent experience as well! We pride ourselves on offering the greatest product available and the best possible customer service you could ask for while putting together a plan to achieve your goals. Our people are exceptional and very used to working up to many specialized specifications. Let our staff assist and serve you in making your goals a reality! Filter cloth, or screen cloth, is a type of wire mesh used for filtration and straining. 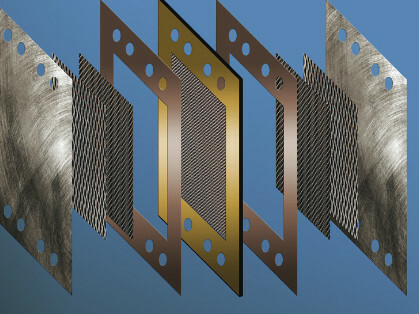 A wide range of weave styles are possible, and these are used depending on their suitability to different applications. The most commonly found are plain woven, twill woven or Dutch woven wire mesh. 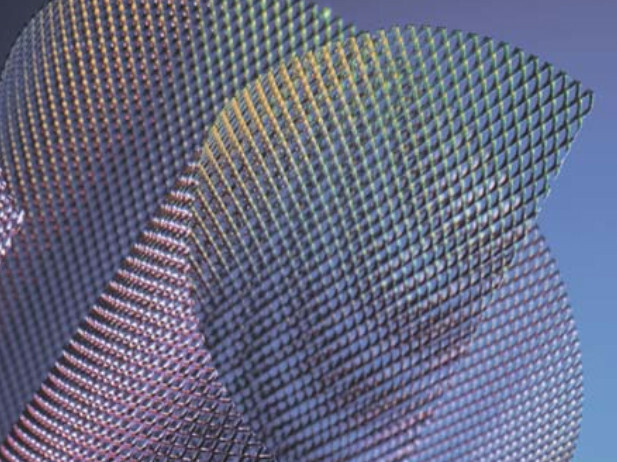 Most basic filtering applications will use a simple square mesh such as plain woven; this is the most commonly manufactured type of screen cloth. Also known as wire cloth, screen cloth can be manufactured with different diameters of wire and with weave openings determined by the specifications of the intended application and can being used for filtering very fine substances as well as heavy duty screens able to bear large loads. Metal filter screens are typically used for separating solids from each other according to particle size and for clear filtration of liquids and slurries. Industries such as chemical manufacturing, pharmaceuticals, water purification, refrigeration, metalworking, gas separation, the automotive and aerospace make wide use of hardware cloth, as do many other industrial sectors. Different types of screens constructed using screen cloth include shaker or vibrating screens for sifting and sizing, baskets, liners and separator rings. There are a number of variables to decide upon in the manufacturing of wire cloth such as mesh count, wire diameter of both warp and weft wires and weave style. Mesh count refers to the size of the openings in the weave, the higher the mesh count of a certain cloth, the smaller the opening, allowing the mesh to be used to filter fine materials. Wire diameter and weave style will also affect the straining quality of a wire screen. Twilled Dutch weaves are a common choice for filter/screen cloths as they offer greater strength and can filter extremely fine materials due to the complexity of the weave and its ability to create small openings. Material choice is another factor that will be determined based on the usage of the screen. Metals are chosen based on their resistance to corrosion, abrasion, and heat. For applications such as food processing or pharmaceutical, stainless steel will be used to construct the wires as it is corrosion resistant and easily cleaned, allowing for sterile processing. Aluminum will be used in lightweight filtering applications while brass, copper, bronze and steel can all be used for more robust purposes. Metal filter cloths do not typically deteriorate during filtering and so are a long lasting process component.